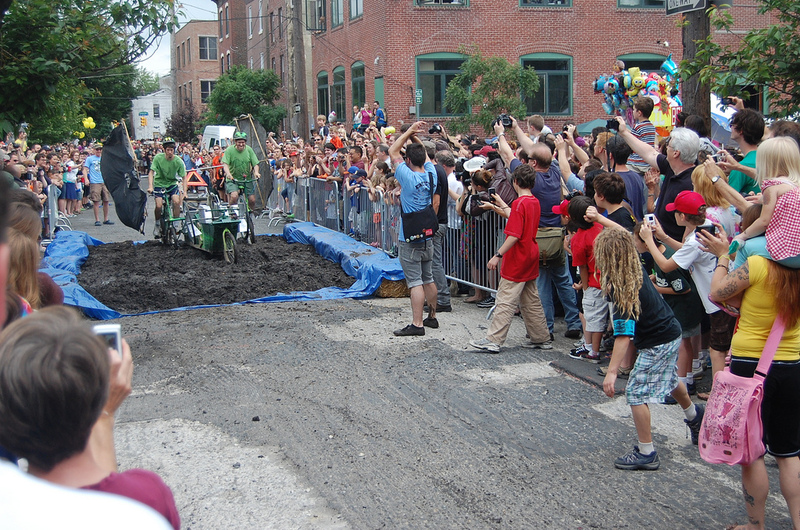 The Kensington Kinetic Sculpture Derby is going to be the tail end of a great Bike Week in Philadelphia. We heard a rumor that Katherine D., the Derby's first coordinator, is back in town to lead the parade. Welcome back Kat! We can't wait to see this year's array of people-powered sculptures that will promenade along the parade route and end at the famous mud pit. Don't miss Philly's best festival and parade! 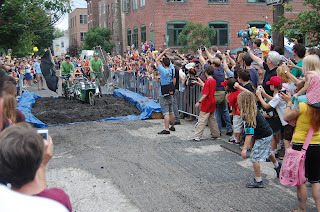 The Kensington Kinetic Sculpture Derby is done in collaboration with Trenton Avenue Arts Festival. The Derby first year in 2007 had 10 entries; in 2010 it had 29 teams. The Trenton Avenue Arts Festival is a day long craft and arts fair with live music, local vendors, and local food and beverages. The two events compliment each other beautifully, both events celebrate Kensington, art and sustainability. Both are sponsored by the New Kensington Community Development Corporation. There will be FREE Valet Bicycle Parking @ the corner of Trenton and Dauphin.